The Philippines is blessed to be one of the few megadiversed countries in the world. Living in one meant having to shoulder a responsibility of sustaining the environment. Our planet is like a computer. We often forget that it gets older and older until the time that the computer will just shut down and refuse to open its system again. It shuts down taking all important files with it. Like our computers, our planet may just shut down and may not recover from storms and eartquakes and droughts. We often forget that almost all the things we really nees in this planet is non-renewable like our fossil fuels. Now we know how big our planet is and the Philippines is just a dot on it, really, but a dot nevertheless thus, important. This is a dot which contains a great biodiversity which is not common around the world. This is why we, Filipinos should learn to conserve our resources as a responsible green citizen. Do you know what carbon is? Carbon is a very important compound in our life. It is even in our bodies. There are few popular uses and such are as dry ice, in fire extinguishers, for carbon dating and so much more. There are many uses for it, too many apparently that we may have been leaving footprints of it everywhere. 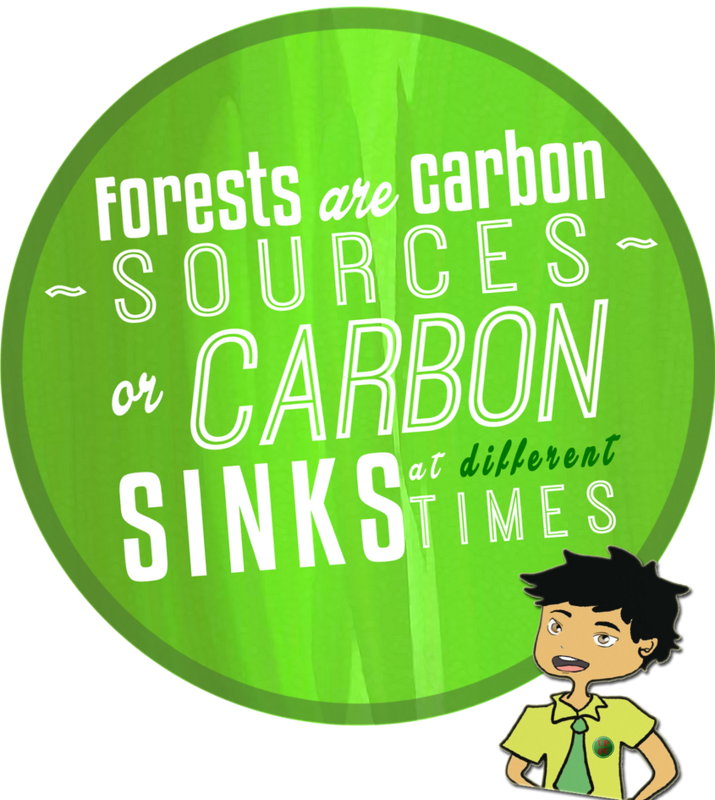 There is what we call the active carbon pool or the natural process wherein carbon continuously circulates from the lands/forests to the atmosphere, to the oceans, and then back to the lands again. The cycle is disturbed when people get carbon from fossils then turn it into fossil fuels (oil, coal). The carbon from the fossil fuels will be added to the cycle resulting to increase in amount of carbon being circulated. 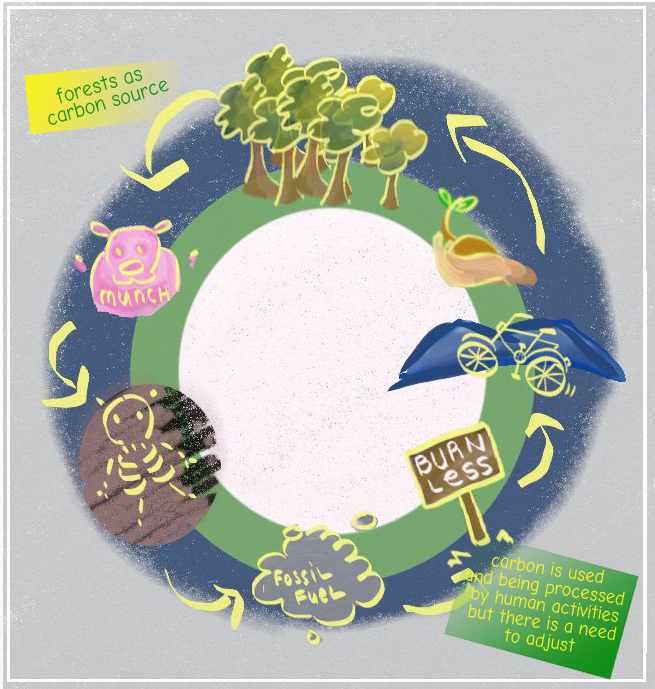 Added amount of carbon will be passed on to the lands/forests but what with the human activities such as deforestation and illegal logging, it is becoming difficult for the cycle to maintain equilibrium. This is why as a child, we were told to put off the lights when we were not using it. This is why as an adult, we were told to take the bus or better yet, ride the bike instead of driving our own cars. This is why we were told to plant trees or join in tree planting activities. With these, we are helping in conserving our environment. We all know that in almost all the things that we are using, there is carbon (that were extracted from fossil fuels). And the carbon from that object will add up to the natural processes which could be already unstable due to forest degradation. This could also mean piling up of carbon dioxide in the atmosphere as the forests could not hold any more of carbon. This will the result to many environmental issues such as climate change, global warming. We don’t want carbon to be stuck in the atmosphere, do we?